This evening I was invited by one of the best gentleman on earth for a private dinner to actually celebrate his belated Birthday few days ago, together with another good friend who is a Medical Doctor. The choice of dinner was Indian, and all three of us love to have it together from time to time. 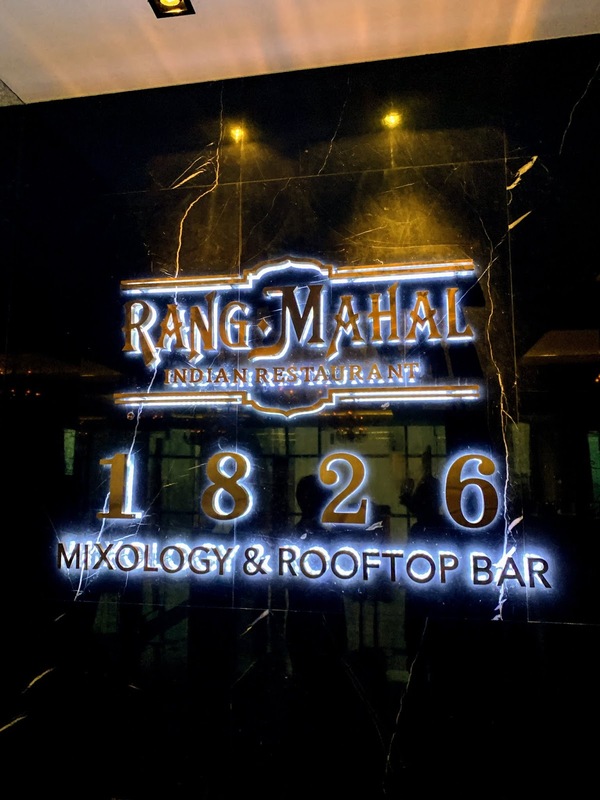 Our most favourite Indian in Bangkok is Rangmahal on 26th floor at Rembrandt hotel, located at Sukhumvit Soi 18. It is a well-known for many years, and always ranked top 5 for Indian Restaurant category. This time though, I learnt that Rembrandt finally renovated their terrace next to the restaurant. It was empty space before, and kind of wasted of space, and I once mentioned to restaurant manager that they should utilise this space by converting it into Sky Bar or something. They finally took my advice, and probably from many other customers as well who had similar vision to me. The Rooftop bar has just been established and started since January this year. 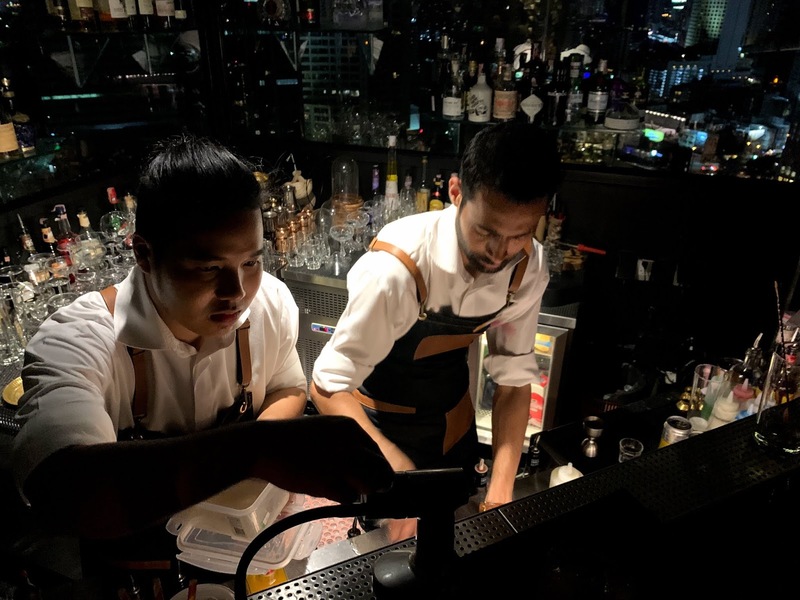 The head of the bar came all the way from Mumbai (but he actually had spent most of his bartender time in Dubai, UAE) to setup this bar, and designed every drinks in the menu, of which I have not yet tried. 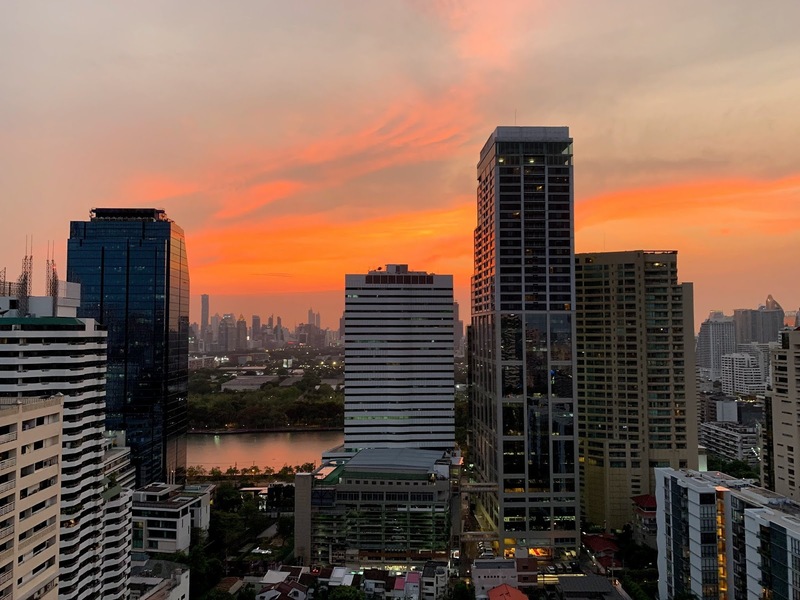 I will definitely write about this Rooftop bar again soonest, because I am so exhausted at the moment, kind of jet lag from traveling up and down these days.